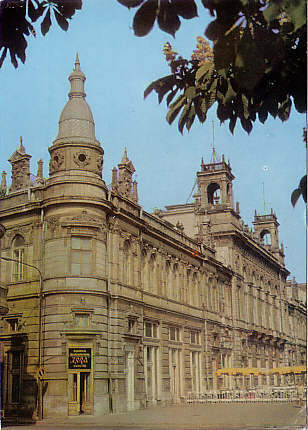 Named in honour of the Bulgarian actor, Sava Ognyanov (1876-1933). 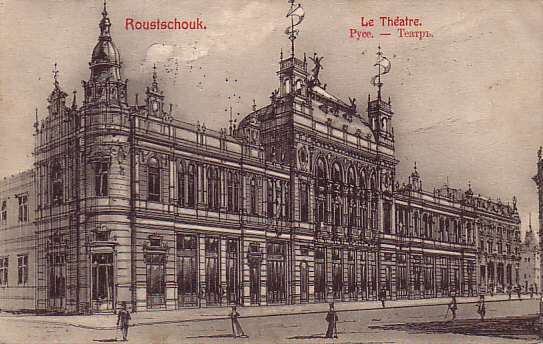 Front Text: "Roustschouk - Le Théatre; Ruse - Teatr"
Front Text: "Ruse, Teatra - Ruse, Vidajo de L'urba teatro - Russe, Das Theater"
Reverse Text: "Ruse, [...] Dramat. 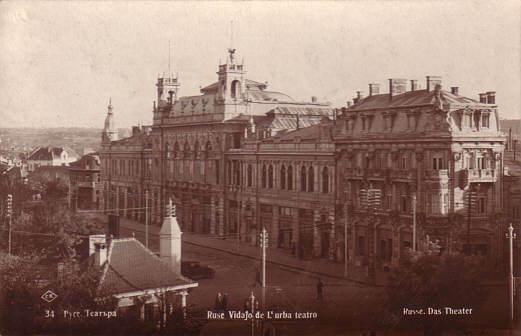 Teatr 'Sawa Ognjanow' - Russe, Das Gebäude des Dramatischen Theaters 'Sawa Ognjanow'"